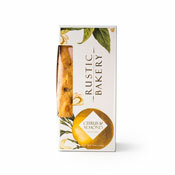 This holiday season, spoil yourself or someone you love with this sophisticated, exotically interesting & distinctive fruitcake. Is it worth it? Yes. This is a whole new fruitcake experience. Flawless fruits and nuts from family farms complete the task of creating cakes that forever vanquish fruitcake's bad reputation. Filled with candied orange and lemon peel, and blanched almonds, each cake is aged for flavor, sweetened up, soaked in brandy and baked. 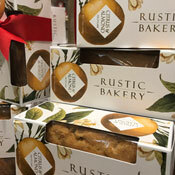 Beautifully packaged, this classic treat is ready to give - and enjoy!